This post was updated on 2/5/19. 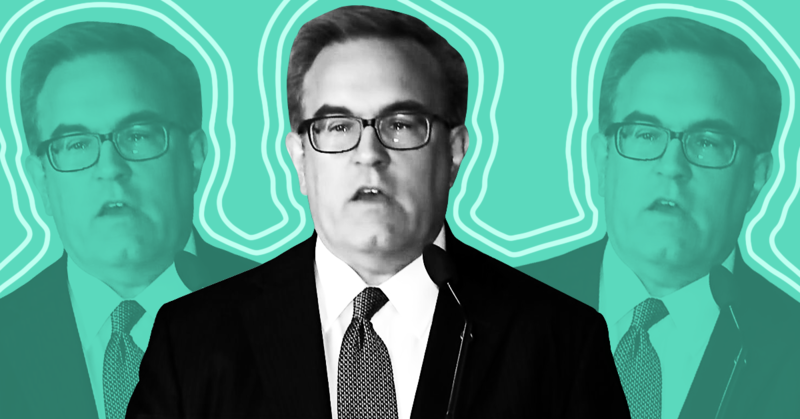 Andrew Wheeler, acting head of the Environmental Protection Agency and nominee to fill the job permanently, has lashed out at the media repeatedly in the last few days. The EPA's press office sent out three press releases on February 1 and another one on February 5 that criticized media outlets for their reporting or discussion of either Wheeler or the EPA's activities. These latest attacks on journalists' work are not the first that the EPA press office has issued under Wheeler. In this, he's following in the footsteps of both his predecessor, Scott Pruitt, and his boss, President Donald Trump. Wheeler testified before the Senate Environment and Public Works Committee at a confirmation hearing on January 16, and the committee voted along party lines to approve his nomination on February 5. Wheeler’s nomination will go before the full Senate soon. In the meantime, Wheeler is not happy about getting what he perceives to be negative press about him or the agency he's leading. On Friday morning, the EPA sent out a press release with this headline: "Huffington Post Report Filled with Biased and Misleading Claims." The release criticized a HuffPost article that reported that Murray Energy, the coal company that Wheeler used to lobby for, has ended its lobbying contract with Wheeler's old firm. The article noted that many of the policy changes Murray Energy has wanted to see have already been implemented at the EPA. The EPA's press release listed a number of criticisms of the article, but it didn't demonstrate that the piece was incorrect. One complaint was that the article quoted someone from the nonprofit group Citizens for Responsibility and Ethics in Washington, which the EPA dismissed as a "liberal interest group." Another bizarrely nitpicky gripe was about the grammatical construction of one sentence, which the EPA release claimed was intended to "trick the reader" into thinking Vice President Mike Pence was at a meeting with the head of Murray Energy. The sentence makes no such claim. HuffPost stands by its article. On Friday evening, the EPA sent out another press release attacking a media report, this one with the subject line "E&E Publishes Hogwash Misleading Story." It criticized another article about Wheeler's former lobbying firm. The article, published by E&E News, reported that a former lobbying colleague of Wheeler met repeatedly with EPA officials about sites contaminated with toxic waste. The article drew from a batch of internal EPA emails and calendars that were recently released in the wake of a Freedom of Information Act lawsuit filed by the Sierra Club. The press release did not note any factual errors in the E&E article, but rather criticized two sections that it called "misleading." The release also made the petty and unrelated claim that E&E had previously issued a correction to a story it published about Wheeler last year; in fact, it was a clarification, not a correction. "Clicks are more important than facts for E&E News," the EPA press release charged -- even though E&E News is a firewalled subscription news service, not one that relies on attracting a broad public audience for its reporting. E&E News stands by its story. Also on Friday, the EPA published a press release attacking a comment made by a former Obama administration official on the Fox News program The Story with Martha MacCallum. Austan Goolsbee, who chaired the Council of Economic Advisers under President Barack Obama, said on the show that the EPA is changing rules to allow power plants to "dump more mercury into our drinking water." The EPA charged in its press release that it was an "outlandishly false claim" and disputed it on narrow grounds, saying that the agency has not changed a key rule governing mercury emissions from power plants. But as recent opinion pieces in The New York Times and the Los Angeles Times explained in wonky detail, the EPA has been taking steps that could lead to more mercury pollution. The Times piece summed the situation up: "Wheeler is inviting the coal industry to challenge the mercury rule in court." Then on Tuesday, the EPA press office issued an even more vituperative press release -- this one personally attacking a Politico reporter for an article she wrote headlined "Former Koch official runs EPA chemical research." She reported on how a former Koch Industries employee is now leading research that will help determine how the agency regulates PFAS chemicals that contaminate drinking water. EPA's press release was headlined "Politico Continues Misinformation Campaign on PFAS," and ended with a personal insult against the reporter: "It appears Annie Snider’s talents are best used for fundraising pieces for special interest groups rather than reporting any resemblance of the truth." Wheeler may be feeling especially threatened by reporting on PFAS because the issue could disrupt his Senate confirmation. On February 4, Senate Majority Leader Chuck Schumer (D-NY) threatened to hold up Wheeler's nomination unless the agency sets strict new rules for two types of PFAS. And 20 senators, including two Republicans, sent Wheeler a letter on February 1 calling for drinking-water limits on those same two chemicals. These attacks echo ones the EPA press office launched last fall. On October 30, it sent out a press release with the headline "EPA Sets the Record Straight After Being Misrepresented in Press." The release didn't name any media outlets, but it asserted that "recent media reports have inaccurately misrepresented the actions taken by the U.S. Environmental Protection Agency" to address toxic air pollutants emitted by an industrial facility in Illinois. On November 1, the press office got more aggressive, sending out a press release titled "Fact Checking Seven Falsehoods in CNN’s Report." It attacked an article on CNN's website that reported on an EPA move that would allow states to emit more ozone pollution, which leads to smog. CNN stood by its story -- and rightly so. John Walke, a clean air expert at the nonprofit Natural Resources Defense Council, explained in a detailed Twitter thread that the EPA was "wrong about all seven" of its accusations against CNN. As more articles come out reporting on Wheeler's emails and calendars, thanks to that Sierra Club lawsuit, we could see the EPA sending out still more press releases attacking media outlets. Note: The EPA press release about the HuffPost article mentions Media Matters and claims that we are "affiliated" with Citizens for Responsibility and Ethics in Washington. Media Matters founder David Brock once served on the board of CREW, but he is no longer affiliated with the group. Media Matters had no involvement in the HuffPost article. Sean Hannity: "Nobody gave Roy Moore due process when he denied the allegations"
Some journalists can see through Trump's economic ruse. Time for everyone else to catch up. President Donald Trump has been promoting record high valuations on the Dow Jones industrial average as proof of his supposed economic accomplishments and has attacked news outlets for not covering the stock market gains and steady job creation during the first six months of his presidency. In response to both his boasts and his frequent criticism, journalists have been quick to point out that Trump deserves little credit for positive economic trends that predate his administration given his lack of substantive policy accomplishments while in office. 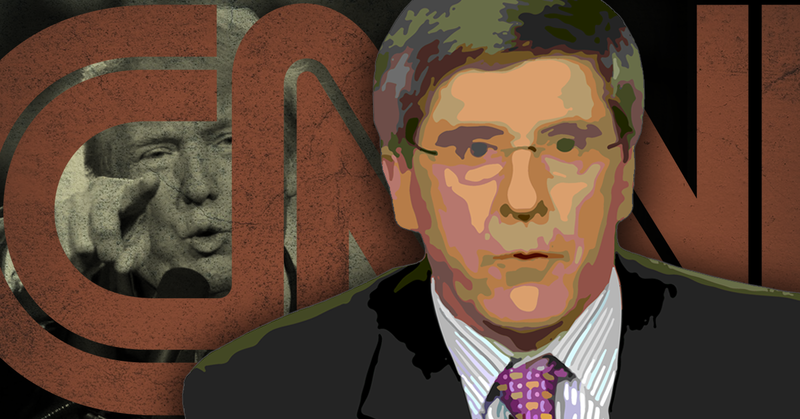 Discredited right-wing economic pundit and former Trump campaign economic adviser Stephen Moore accidentally let slip that gutting the Medicaid program “was central” to President Donald Trump’s plan to repeal Obamacare, despite the president’s repeated assertions that he would not touch the program. The statement corroborates admissions Moore made at a private event last July, when he claimed that Trump would fund massive tax cuts and reckless spending by dismantling programs that provide basic living standards for millions of Americans. Moore’s claim was debunked on air by co-hosts John Berman and Poppy Harlow, as well as Goolsbee, who cited Trump’s tweets and public statements as proof that he had broken his promise to protect Medicaid. Reporters who tuned in for the performance also noted Moore’s false statement. Moore accepted Berman’s correction before quickly pivoting to talking points extolling the virtues of converting Medicaid to block grants, which would also amount to a massive benefit cut for recipients. After President Donald Trump and Speaker of the House Paul Ryan (R-WI) failed to garner enough support to pass legislation that would repeal and replace the Affordable Care Act (ACA), Trump declared he had moved on to refocus his legislative priorities on tax reform. In light of Trump’s inability to get the Republican-led Congress to vote with him on health care changes, which had been a major campaign promise of virtually every elected GOP official, journalists and experts are beginning to question if Trump is capable of wrangling his caucus to tackle substantive conservative tax reform proposals that have been stagnant for decades. Evening cable news programs rarely discuss college affordability issues, and they even more rarely feature guests who present relevant expertise or recent personal experiences in these discussions. In a recent analysis of evening cable news programming, Media Matters found an overall apparent lack of student or borrower guests participating in these conversations, while the majority of guests were white, male, and 35 or older. Though Fox News programs featured the most student guests, the network’s discussions of college affordability were limited and they often allowed older, white hosts and guests to push outdated math about college costs and dismiss the experiences of students who are struggling to afford higher education. In a recent study, Media Matters analyzed an entire year of evening cable news programming and found that Fox News, CNN, and MSNBC together spent just 2 hours and 22 minutes -- 56 total segments -- airing substantial discussion of topics related to college affordability. Of the 56 segments, almost half (24) were aired on Fox News. Of the 127 total guests participating in these segments across all three networks, eight were identified as current students -- all appearing in segments on Fox. Considering the overall lack of interviews and panels discussing college affordability across all the networks, including four segments with eight student guests throughout a year of programming is not a significant accomplishment. All three networks ought to be including more guests who can share recent, personal experiences with paying for higher education in conversations about college costs or student debt. Two Fox News evening programs -- On The Record with Greta Van Susteren and Hannity -- took this initial step by featuring student guests, but the discussions were still largely dictated by the hosts. And Fox’s comparatively better inclusion of student guests in college affordability discussions did not yield more substantive discussions. On The Record featured a total of seven college students in discussions of student debt or college affordability, across three panel segments. The stated topic of all three segments was the millennial vote, yet each featured some exchanges about college affordability issues. In two of the segments, host Greta Van Susteren asked Democrat student guests if they were planning to vote based on their desire for “free” college. In the third segment, Van Susteren asked student guests, “Who do [millennials] blame for the student loan problem? ... Republicans or Democrats?” And later she asked which party the guests believed would help alleviate student loan debts. The guests -- all of whom explained that they were planning to vote for Republican candidates in the 2016 election -- all declined to “blame” a single party or to conclude that only one party could provide solutions. Together, as defined by the Media Matters analysis, substantial discussion of college affordability in these three segments totaled eight minutes. Meanwhile, other Fox News evening programs -- although they included ostensible firsthand experiences -- were responsible for some of the most misleading and dismissive segments in our analysis. In discussions on The O’Reilly Factor and The Kelly File, Fox figures pushed claims that students could afford higher education in 2016 if they simply “work for it,” citing their own experiences attending college 24 to 45 years ago when it was still practical to afford tuition through part-time work. In 1992, when Kelly graduated from college, the average sticker price (tuition, fees, room, and board) for a full year of full-time attendance at a private research university like her alma mater was $17,572, which amounts to $30,166 in 2016 when adjusted for inflation. For Kilmeade, who graduated in 1986, it was $11,034, or $24,248 in 2016 inflation-adjusted dollars. Today, both schools cost more than twice what they did when Kelly and Kilmeade were students -- attending Kelly’s alma mater as a full-time student costs $63,344. For Kilmeade’s alma mater, the figure is $49,582. These numbers do not include transportation, books, or health insurance, among other additional costs. In another segment from April, O’Reilly disparaged young people who supported free public college tuition -- at the time, a policy proposal from then-Democratic presidential candidate Vermont Sen. Bernie Sanders -- explaining that he had “never taken anything from anybody in [his] life.” O’Reilly dismissed attempts from economist Austan Goolsbee to point out how college costs have risen significantly since O’Reilly was a student. O’Reilly focused instead on his mid-career graduate school attendance at Harvard University in the 1990s (years after he became a nationally recognized media figure) to attempt to rebut Goolsbee, rather than drawing the more appropriate and even less compelling analogy to his undergraduate college experience decades earlier. O’Reilly graduated college in 1971, when the average sticker price for a full year of full-time attendance at a private liberal arts college like his alma mater was $2,599, or $15,456 in 2016 dollars when adjusted for inflation. Today the cost for the first year of full-time attendance at the same school -- which, again, does not include many estimated additional costs associated with attending college -- is $49,860. Images created by Sarah Wasko. O'Reilly: Mike Pence Has “Gravitas” And Ran Indiana’s Economy Well, "Those Are Facts"
Economists and experts slammed Republican presidential nominee Donald Trump for pushing lies and misinformation about the state of the economy during the September 26 presidential debate.